4' X 12' Heavy weight drop cloth, 100% cotton. Norton WallSand Bulk Drywall Sheets are designed with the specific needs of professional contractors in mind. Today's joint compounds need a quality abrasive with a lower profile grain and lighter weight flexible backing that can tackle demanding surface areas with ease, and deliver a consistent surface finish for applying primer and paint. Norton WallSand bulk drywall sheets meet these requirements. 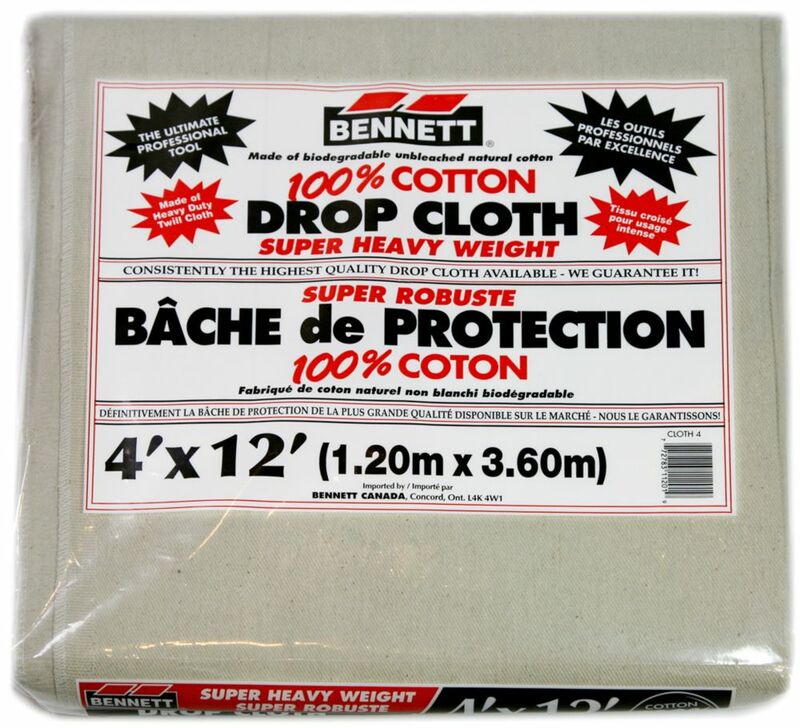 100% Cotton Drop Sheet 4 Feet X 12 Feet 4' X 12' Heavy weight drop cloth, 100% cotton.